Jass, the true national Sport of Switzerland….. This trick taking card game is played with a deck of 36 cards. 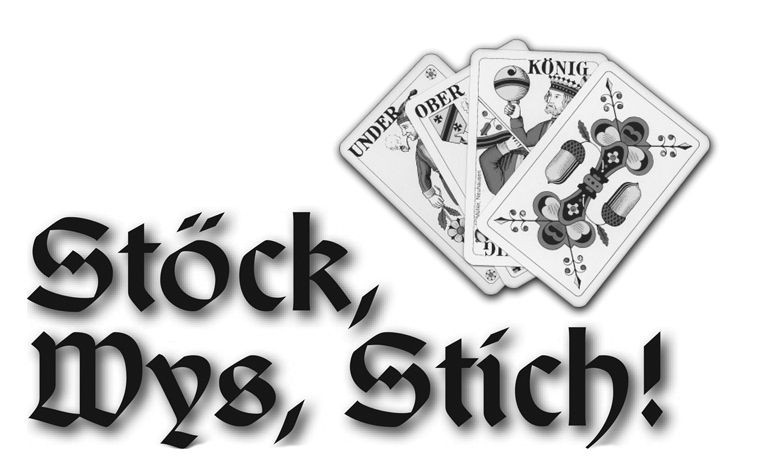 There are 2-4 players and the most popular game is Schieber, which is also played at the Swiss Club’s Jass Nights, the Matterhorn Society Jass nights and the Australian Jass Championships. Did you ever wonder why there are booths opposite the bar in the club restaurant? To play Jass! On Wednesday & Thursday club nights, members and guests are welcome to enjoy a game of Jass. The club also organizes Jass competitions on 4-5 Saturday evenings per year. Players of all levels are encouraged to come along. Four rounds of 8 games each are played with change of partner after each round. There is a choice of Swiss or French Cards. In addition to the Jass Nights, we also organize on the 4th Wednesday of the month a Social Jass – for the pleasure of the game, to practice, to learn and to have fun. Beginners welcome, must know value of the cards though. Please refer to our Social Calendar for Jass Dates. The fourth Australian Jass Championships will take place in Adelaide, SA during Queen’s Birthday Weekend (8 June) 2014. Don’t know how to play Jass, but would be interested to learn? We are holding Jass courses from time to time depending on enough people being interested. Please email to info@swissclubvic.com.au if you would like to learn this great game. Links: Play Jass online / online or read up about it in English or German.